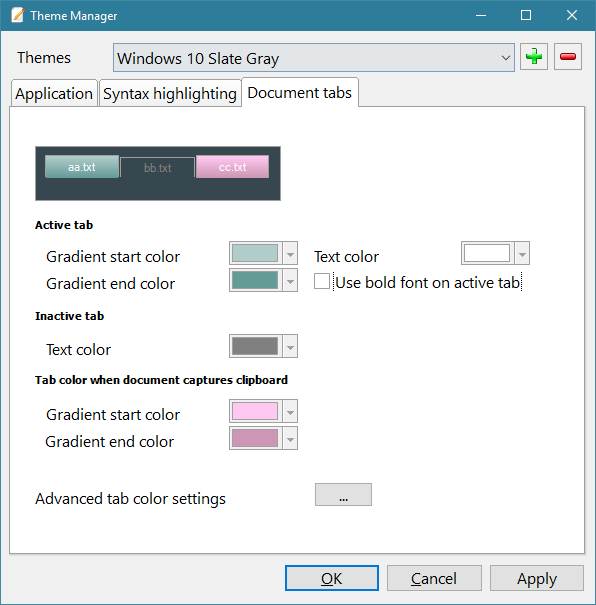 Use this window to handle program themes and editor syntax colors. 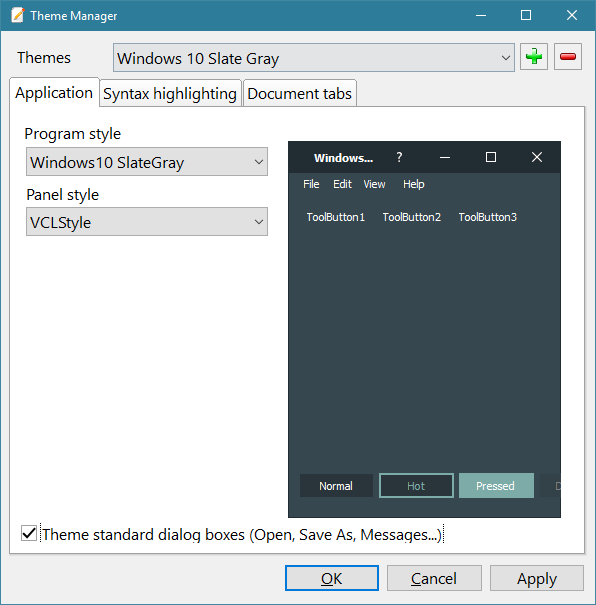 Create a new theme and set a program and panel style. Import colors using the drop down button or set colors and styles manually. Set colors and style for document tabs. 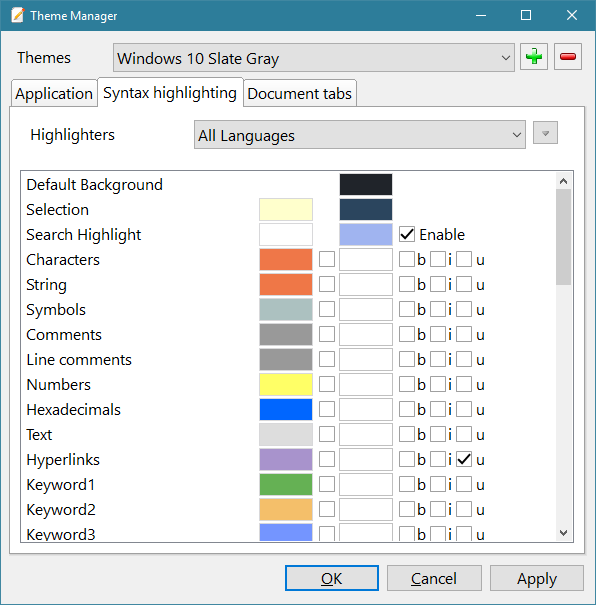 Use this window to handle program language, dictionaries and syntax highlighters. You need dictionaries to use the spell check feature in the program. Click on download to display a download window. You can also download a dictionary manually and copy the files to the "<AppData>\Roaming\RJ TextEd\Spell" folder. 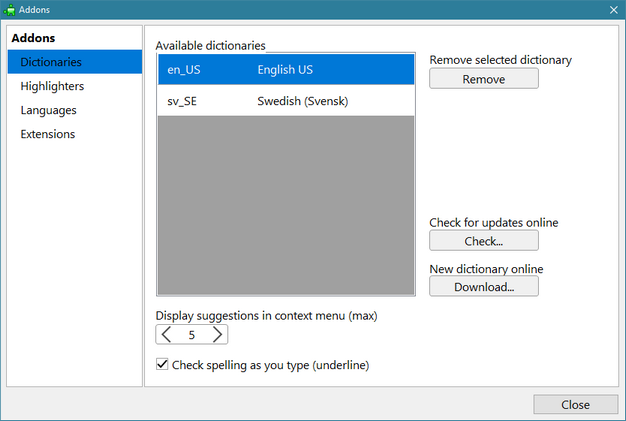 Select dictionary in the toolbar drop down list. Activate/Deactivate highlighters (syntax file) or assign file extensions to the highlighter. Here you can check for and download updates to the highlighter files. 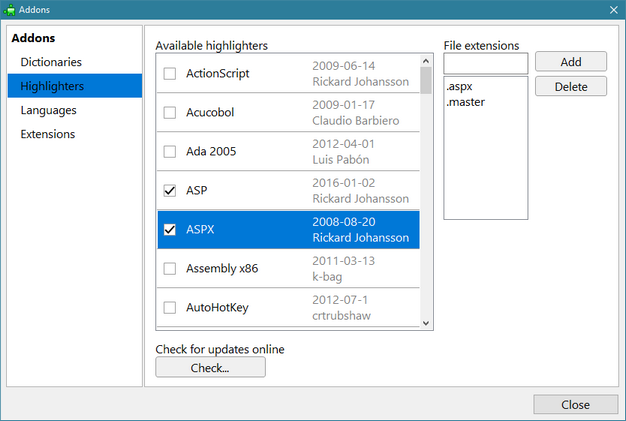 Use the syntax editor to create new syntax files. Please read the help file for more information on how to create one. 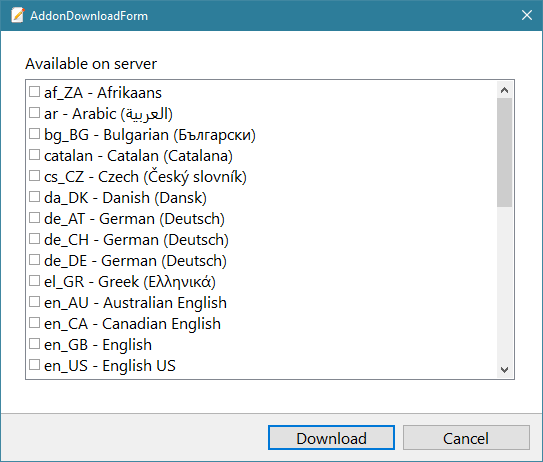 The program can use language files to support different languages. 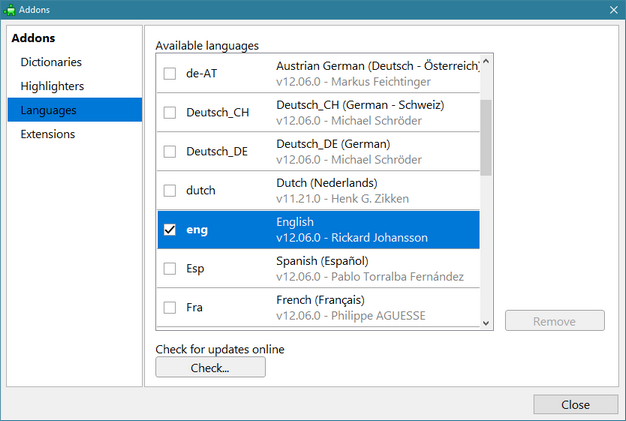 In addons you can set the active language and check for updates. 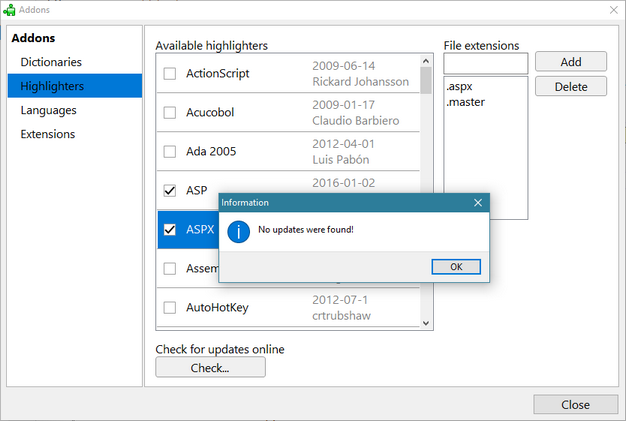 Save the file and select it in the "Add-ons" dialog. If you're pleased with the result you can send your new language file to: support@rj-texted.se . And I'll put it here.